A non-resident Indian need to clarify or need to have clarity in mind as to why he wants to invest in India. Does he have some commitments either home loan's equated monthly installments (EMI) or parental responsibility or is he simply looking at growing assets his assets in India. Therefore, if the situation is first where one has some commitments then he may want to consider Non Resident External Account (NRE) fixed deposit or Foreign Currency Non Resident (FCNR), which is repatriable and there are tax benefits also. If one is looking at growing asset, which means if one is looking at putting in equity market, I would encourage looking at equity mutual funds, but funds which are domiciled outside India. So, that one do not have to bring money into the country and adhere to law. There are lots of offshore funds, which are domicile in various parts of the world, these are legitimate and they bring money into India so NRIs would get returns of Indian market without adhering to Indian regulations. So, it depends on why one is bringing in, what is the purpose. One has an option of debt as an asset class, in equity gold and real estate but need to have that clarity. Offshore route is something which I keep on recommending so that repatriability, tax implications and other adherence is easy for NRIs. There are a large number of Non Resident Indians (NRIs) that are looking for superior returns, when it comes to investment options in India. Before investing you must understand the tax implications also, including income tax and capital gains tax. Here are a few investment options that NRIs could consider. This is the most common and one of the favourite mode of investing by NRIs. Being an NRI, you can open a Fixed deposit account in an Indian bank authorised to deal in foreign exchange. In simple words an NRI can open a term deposit through 3 different types of accounts in India i.e. NRE, NRO and FCNR accounts. Banks usually provide attractive and high interest rates on NRI Fixed Deposits. NRE or Non Resident External AccountsThis can be in the form of savings, current, recurring or fixed deposits and can be maintained in Indian rupees. So, in order to have NRI deposits you need to have a NRE account first. NRI Deposits can earn an interest ranging from 7 to 9% per annum. Moreover, the principal and interest earned on NRE Deposits is not taxable in India. This is best suited for NRIs who want to transfer their foreign income to Indian accounts. Both principal and accrued interest can be easily repatriated easily anytime. NRO or Non Resident Ordinary Accounts NRO Account is mainly to manage the Indian income of NRIs that can be in any form like rent, dividend or pension received in India. But, NRO accounts offer a limited repatriation per year i.e. presently capped at $1 million.NRO Fixed deposits are taxable as per Indian laws @30% approximately. In case of NRO FD only interest accrued can be repatriated. FCNR or Foreign Currency Non ResidentNRIs can maintain the account in foreign currency in FCNR Fixed Deposit. It helps you to avoid the fluctuations in the exchange rate since the deposit is in foreign currency. Interest earned is taxfree and fully repartriable. An NRE fixed deposit or an FCNR account is preferable. You can earn upto 8.5 percent return on an NRE fixed deposit, ever since the RBI linked the same with LIBOR. Also, the interest on NRE fixed deposits and FCNR accounts is tax free in India. The rate of return on FCNR accounts differs according to the currency you deposit. You can also open an NRO FD account, but the interest earned cannot be repatriated and taxable at source. Interest earned on an NRO fixed deposit account ranges from 4% to 7.75%, depending upon the maturity period of the deposit. To invest in Mutual funds, an NRI needs to have any of the 3 bank accounts i.e.NRE/NRO or FCNR amount. The investment has to be made in Indian currency and not in foreign currency. The investment amount can be directly debited from NRE/NRO accounts.NRI has to give a rupee cheque or draft from his NRE/NRO Account. At redemption, the amount shall be paid in Indian currency either through cheque or directly credited to investor account. However, some countries don’t allow NRIs to invest in mutual funds in India. The tax liabilities are the same as that of a Resident, the only difference being that in case of NRIs, tax is deducted at source(TDS). NRIs are also eligible to invest directly in the stock market under the Portfolio Investment scheme(PINS) of RBI. 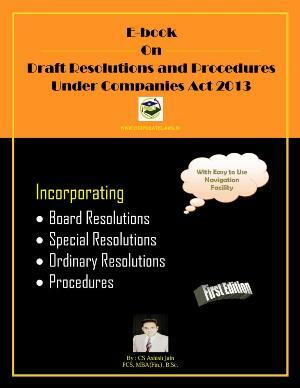 An NRI has to take permission under PINS scheme for purchasing and selling shares in India. 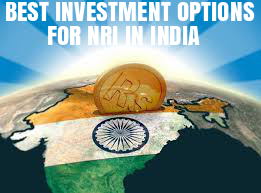 The maximum NRI Investment cannot go beyond 10% of paid up capital of the Indian company. NRIs need to open a Demat account and brokerage account with SEBI registered brokerage firm. An NRI can transact through a stock broker only. A bank account – NRE or NRO Account. 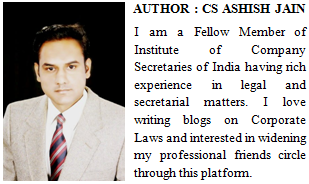 A trading account – with a SEBI authrorised broker. A Demat account – To hold shares. An approval under the PIS is required for trading in the stock market. Only one PIS Account per individual is allowed. Also, NRIs cannot trade in all the Indian stocks.RBI publishes the list of stocks that are eligible for NRIs. Hence, NRIs can only trade on delivery basis. NRIs need to own the stocks before they want to sell it. Investing in the real estate sector has been a traditional and an all time favourite method of investing for most of the NRIs. Indians leave their country and become NRIs but having a home or property back in your own country is considered as a priced possession. In addition to financial appreciation, it gives you a sense of emotional security as well. Real estate sector is considered as a lucrative investment option for NRIs. As an NRI, you can purchase both residential and commercial properties. There is no restriction on the no. of properties owned but you cannot buy agricultural lands, farm house or plantations. Although, you can have ownership of agricultural land through inheritance or gift. However, selling of property comes with some restrictions by FEMA (Foreign Exchange Management Act),especially in case of repatriation transactions. So, you need to plan things well in advance by hiring a professional who will guide you with all the legal documentation and procedures at the time of purchase/sale. The Government and companies require money from time to time for various projects or their expansion. Hence, bonds are issued for borrowing money. If you invest in bonds, you will be considered as a lender unlike equity where you have an equity stake in the company. Being an NRI, you have the freedom to invest in bonds and government securities. Investors get fixed returns on such bonds issued by companies or government institutions. If purchase is done through NRE/FCNR accounts ,the proceeds are easily repatriable to the country where you live. NRIs also have the option to subscribe to Certificate of Deposits but on a repatriable basis. Certificate of Deposits are non negotiable money market instruments issued in demat for or in the form of promissory notes. CDs yield higher rate of interest as compared to bank deposits. There maturity period ranges from 7 days to 1 year and are best suited for people having short term financial goals. This is also a good investment alternative but NRIs who are Indian citizens can contribute to NPS. Once you give up your Indian citizenship, the account is closed. NRI who are Indian citizens between the age of 18 to 60 years can contribute by fund transfers from their NRE/NRO accounts. NRI who holds an Indian citizenship. You get to choose from a variety of funds like fixed income options, government securities or equity related investments. (i) Tier I Account : You contribute to NPS account with certain restrictions on withdrawal. So, this is basically a non-withdrawable account till retirement. (ii) Tier II Account : You can withdraw from Pension account any time without any restriction. Deposit in NPS yields fair amount of returns and enables you to build a good post retirement corpus. But, you can withdraw only 60% at maturity and the rest 40% has to be converted to annuity. A tax deduction Under Section 80 C is available upto a maximum of Rs.1.5 lakhs. Also, an additional deduction of Rs.50000 is available under section 80 CCD(1B) for contribution towards NPS. This additional deduction is over and above the Tax deduction of Section 80 C.
Tax on investments by NRIs is taxed much like it is for Indian residents. Tax is deducted at Source (TDS) for NRIs. TDS is deducted at a flat rate, irrespective of income. Also, tax on capital gains will be deducted at the time of maturity. Given below is the TDS applicable for various NRI investments.